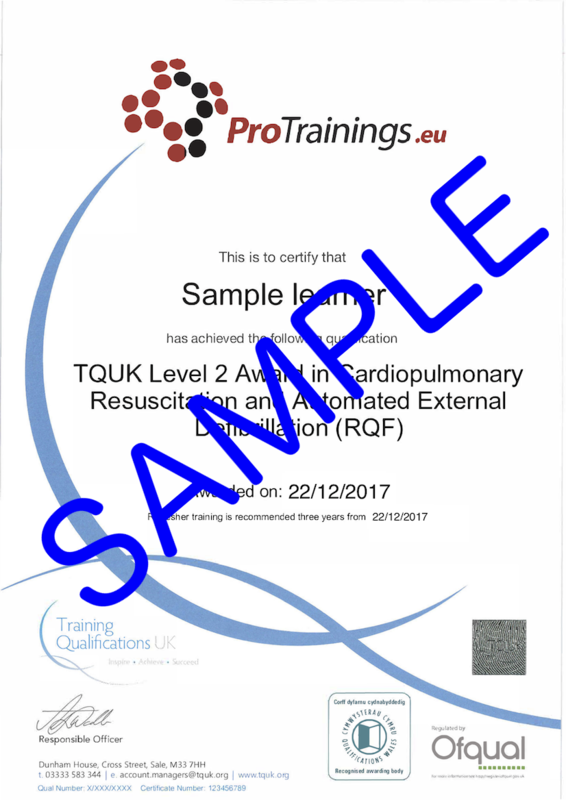 Those gaining this qualification will know that cardiopulmonary resuscitation and automated external defibrillation form an essential part of the chain of survival. The recommended course duration is 1 day with a minimum of 6 contact hours. This course can be taken as a blended course using our video online training to halve the classroom time.